1Q2009 mobile revs up 14 per cent as vendors's overall profits fall by 72 per cent. 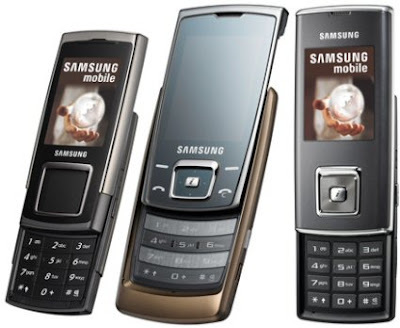 Samsung's revenue from mobile hit 6.94 trillion Won in 1Q2009, up from 6.09 trillion Won in Q42008. All other divisions, except for telecomms equipment, made a loss. Worst hit were memory and digital appliances, down 21 per cent and 23 per cent respectively. Samsung's profit margin on mobile was 11 per cent, slightly higher than Nokia’s 10.4 per cent and LG's 6.7 per cent. Samsung was the only one of the top four handset makers to report an earnings increase for the division. Sony Ericsson last week reported a loss. The company has launched a number of successful touchscreen devices, in particular the Tocco and Omnia series. It is second behind Nokia in global market share and is targeting 20 per cent share this year. I will not approve on it. I regard as warm-hearted post. Especially the title-deed attracted me to read the intact story. Nice brief and this post helped me alot in my college assignement. Thank you for your information. Opulently I to but I dream the list inform should prepare more info then it has.